Terex TSR70, Terex TSR80, and Terex TSR90 Skid Steers are an extremely versatile and hard working class of skid steers. With a range of size and power, the ability to use nearly any attachment, these machines can be used in nearly any application in any industry. Monster Tires provides Ag Tires, Construction Tread Tires as well as Solid Tires for use in many industries. 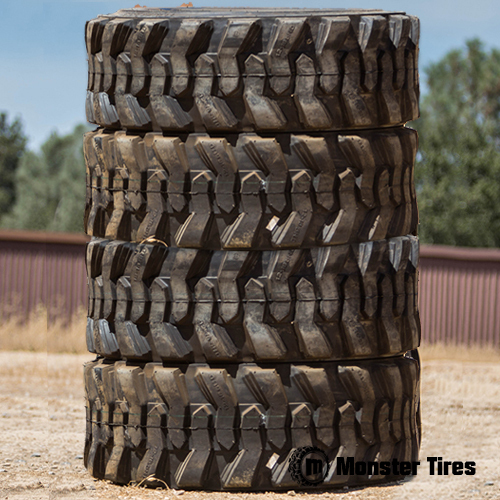 Contact Monster Tires today for any size, tread pattern tire available for Skid Steer Loaders.